Radar security technology is becoming an increasingly important tool for protecting commercial properties. 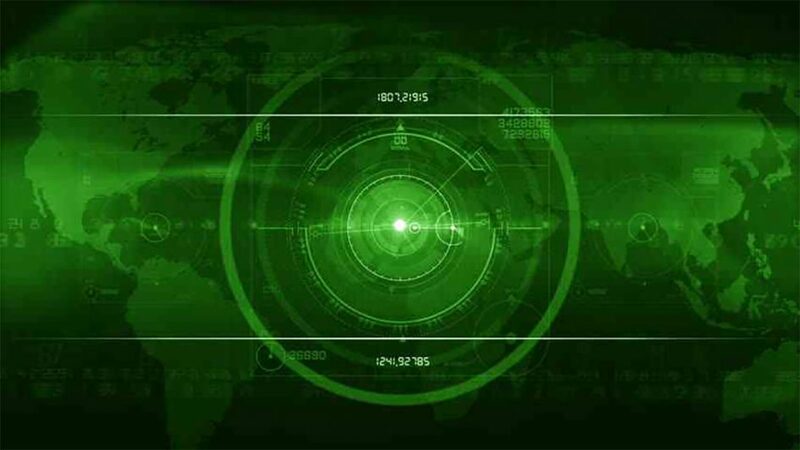 Global radar security sales reached $17.8 billion in 2016, and are increasing at a compound annual growth rate of 6.3 percent, on track to reach $30.1 billion by 2024. Radar’s popularity is growing because it helps extend surveillance coverage, enhances the efficiency of other security equipment, reduces false alarms and increases the overall reliability of security systems. Here’s a closer look at how radar systems can dramatically improve commercial security and keep your business safer. One advantage radar offers is that it extends the range of surveillance coverage beyond what is normally available. Traveling over 186,000 miles per second at the speed of light, radar signals can rapidly detect intruders at a long distance. Radar security surveillance systems bounce signals off all objects within a circle with a 1,600-foot radius, equivalent to a third of a mile, instantly detecting motion within that 360-degree perimeter. Your surveillance team can view the coverage area in split view with both a ground view and a bird’s-eye view. 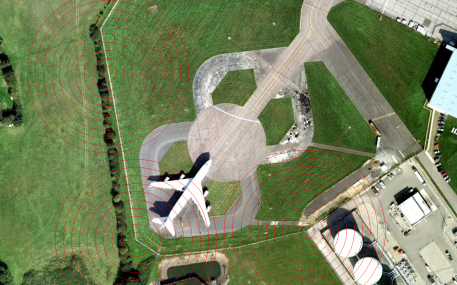 The bird’s-eye view layers analytics graphics over the aerial image so that your surveillance team can pinpoint the exact location of an intruder. This can be especially useful for monitoring large properties. Radar security surveillance systems work in coordination with your other security equipment to enhance their efficiency. As soon as a new object enters your radar surveillance perimeter, the radar registers the change. It then wirelessly activates all available cameras to focus in the object’s direction. This allows your security equipment to detect perimeter breaches earlier than they would have been registered by conventional systems, empowering your team to respond more swiftly. In conjunction with the extended perimeter afforded by radar, this also improves cost-efficiency, allowing security teams to cover more area with a smaller number of cameras. Radar security surveillance also improves the efficiency of security systems by reducing the incidence rate of false alarms. False alarms are embarrassing, inefficient and expensive, with many U.S. cities charging fines for erroneous alarm summons that waste authorities’ time. Poorly-designed motion sensors can be a major contributor to false alarms, misinterpreting activity such as small animal movements or trees blowing in the wind as perimeter breaches. Radar systems can reduce false alarm rates by allowing you to set a threshold which signals must exceed in order to trip an alarm. This makes radar smart enough to recognize the difference between a person walking and a branch blowing the breeze, triggering fewer false alarms than conventional equipment would. Another advantage radar offers over other security equipment is the ability to detect motion under adverse weather or lighting conditions. 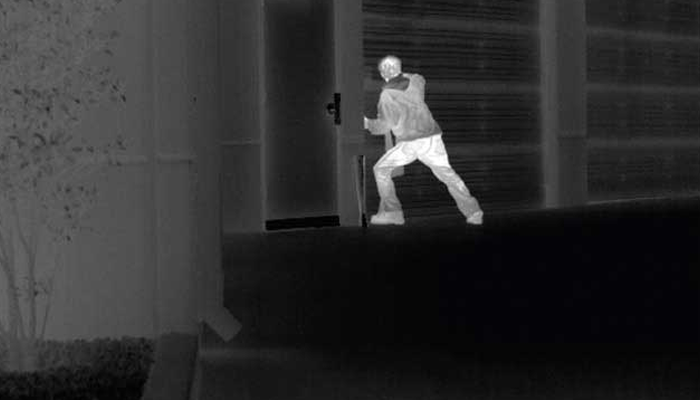 In rare cases, thermal cameras may have issues detecting intruders due to adverse conditions. Radar can be less susceptible to these factors by relying on specific wavelengths that are less vulnerable to disruption. The radar equipment used by eCamSecure relies on X band radar technology, which uses shorter wavelengths to function even in bad weather and to provide higher resolution. This empowers radar surveillance to assist cameras in tracking movement on your commercial property under all weather conditions and in lower light. By extending surveillance coverage, enhancing equipment efficiency, reducing false alarms, and increasing system reliability, radar security technology can significantly strengthen your overall security. Want to learn more about radar security systems? Get in touch. Our customer service representative are standing by ready to answer any questions you have about radar.